Take a few min to check out Modern Market Realtors NEW Fargo Homes For Sale Facebook page. 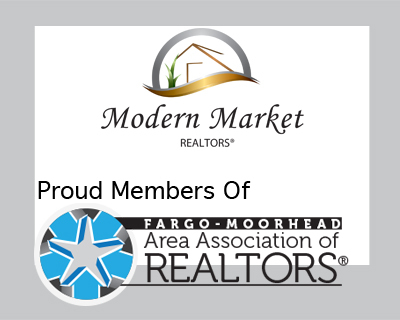 Modern Market Realtors supports the Fargo Real Estate community. If your looking for Homes for Sale in the Fargo area start your search with Fargo Homes for sale on facebook.. 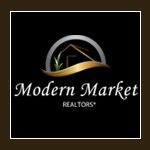 If you have any real estate questions or just want to contact Modern Market Realtors follow the links below. Check out and see what our 1000 plus followers have to say. Moorhead Real Estate | What are home interest rates looking like in 2019? The outlook for real estate in the Fargo Moorhead area looks strong even with all the head winds we have had in 2018. 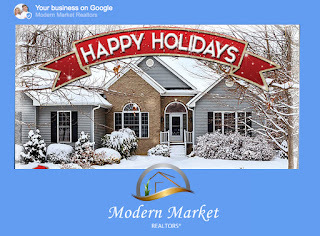 Our thoughts at Modern Market Realtors are that rates will remain stable thru 2019, in spite of the tariffs and the govt shut down. 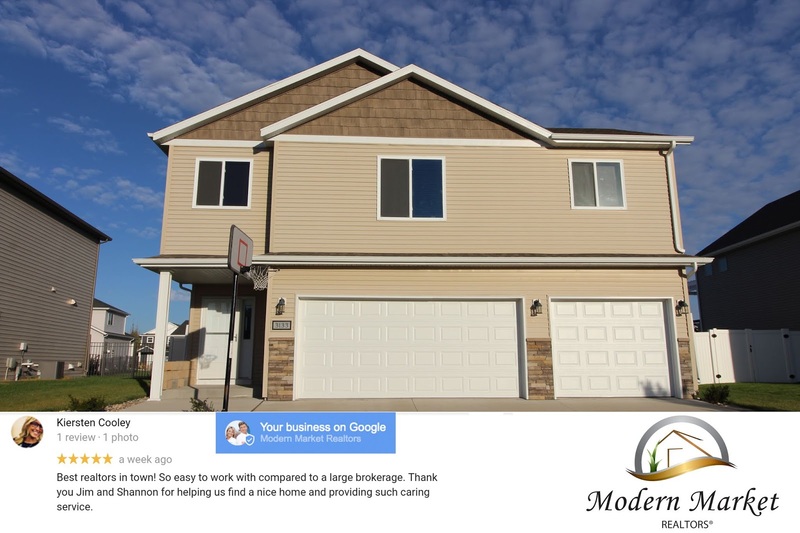 Chances look great for business as ususal in the Fargo Moorhead area. But don't take our opinion here is what the big boys say. our website if your looking for homes for sale. 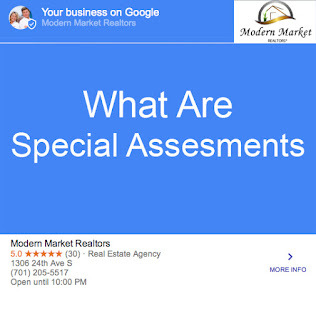 Modern Market Realtors: What are special assessments in Fargo Moorhead? Jake and Lori another happy customer! Thanks guys, you were so much fun! hope you enjoy your new home and life. Check out this new listing at Modern Market Realtors. Find out the current value of your home HERE! - "Instantly"
You will receive this information quickly, by email and without having to speak with an agent! I often hear homeowners ask me to give them an, "appraisal," of their property, or what I think the, "assessed value," or "assessment" is. So here you go. Both of those terms sound similar but are often mistaken for one another and are not on not interchangeable. They are wholly different in who does them, how they are used and for what purposes. An assessment, or assessor or assessed values are all terms surrounding tax valuations. Municipalities have to meet their budget obligations to provide services and infrastructure, perform repairs and replacements of buildings, and pay employees among a host of other duties like providing police, fire and public safety services. Most counties or towns have an assessment office, in charge of collecting taxes from its citizens to pay for these budget items. Some of these offices have an assessor whose job it is to apportion the amount of taxes that need to be collected from each owner. Owners typically pay taxes based on the size and value of property they own. These valuations are typically based on market value, but the assessments aren't updated often, so as the market increases and decreases in value, the assessment often doesn't change for a long time. That means that as the market heats up and houses sell for more money, the tax assessment may lag behind the market value. Conversely, as the market falls and homes are worth less, the opposite is true. Owners pay more than market value. When municipalities fall short of their revenue needs, they have a few options in addition to lay-offs, reducing spending, etc. They can raise taxes. Sometimes an across-the-board percentage increase will be introduced, so that everyone pays their current market value plus some flat percentage. Sometimes a complete re-evaluation is done and homes get updated assessment values. 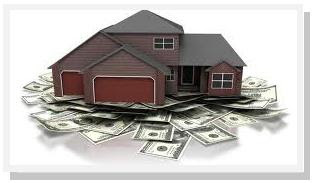 An appraisal is conducted by a state-licensed appraiser, usually for the benefit of a lender, to determine if the amount requested to be loaned is appropriate for the property. Banks want third-party knowledge and expertise to confirm that the property is worth the amount of money being loaned so that if the buyer defaults on the loan, the bank will have an asset upon which they can reasonably be expected to recoup their losses. Appraisers are licensed by each state. Some appraisers are independent contractors; others work for small or large firms. Some appraisers specialize in residential appraisals, others in various aspects of commercial real estate. 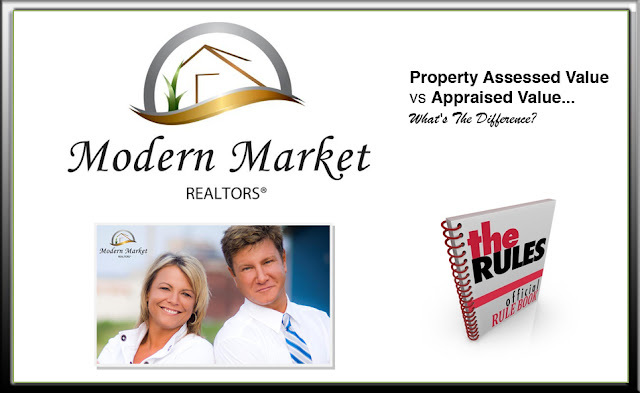 Appraisers use current and past-market data to create valuations for properties. They look at the surrounding geographic area, other like-properties, and try to focus on properties that have recently experienced buying or selling activity. Appraisers can also be hired by homeowners to get a value for a private sale, to determine the worth of a new or potential addition or renovation. Real estate agents provide neither. Agents perform a CMA or Comparative Market Analysis for sellers to determine that starting selling price, or for buyers to gauge and guide an initial offer. Neither can be used to get a loan or pay taxes. CMA's are used to determine a home's selling price to potential buyers keeping in mind the competition and market trends. Appraisals and assessments serve two different purposes, and done by two different kinds of people and are used for very different reasons. Be sure you're asking for the right person! Fargo Home Buyer Alert: What is a credit score. Our credit score can mean the difference between being denied or approved for credit, and a low or high interest rate. A good score can help you qualify for an apartment rental and even help you get utilities connected without a deposit. Your credit score is a three-digit number generated by a mathematical algorithm using information in your credit report. It's designed to predict risk, specifically, the likelihood that you will become seriously delinquent on your credit obligations in the 24 months after scoring. There are a multitude of credit-scoring models in existence, but there's one that dominates the market: the FICO credit score. According to myFICO.com, the consumer website for the FICO score developer, "90 percent of all financial institutions in the U.S. use FICO scores in their decision-making process." FICO scores range from 300 to 850, where a higher number indicates lower risk. What's a good score? A consumer has three FICO scores, one for each credit report provided by the three major credit bureaus: Equifax, Experian and TransUnion. Unfortunately, consumers currently have access to only their Equifax and TransUnion FICO scores. Experian ended its agreement with myFICO.com in 2009. Data from your credit report goes into five major categories that make up a FICO score. The scoring model weighs some factors more heavily, such as payment history and debt owed. How much does a specific change affect a credit score? The answer is usually "it depends," and for good reason. Credit score developers don't reveal the exact point deductions. The weight of any given activity can also vary for different credit histories. Within a scoring model, there's more than one formula used to calculate a score, and each formula is designed for a category of consumers with similar credit profiles. The information in your credit report determines which formula is used. If you are new to credit, for instance, the scoring model will put you into a category for people with young credit histories, and use a scoring formula specific to that group. Such groups are called scorecards. Within that group, recent inquiries may cost more points than they would for a different group. Federal law mandates the consumer's right to a free credit report annually from each credit reporting agency, but not to a free credit score. Use our FICO score estimator to get your score range free of charge. To get your exact number, you have to purchase it from a score provider, such as myFICO.com or one of the reporting agencies. 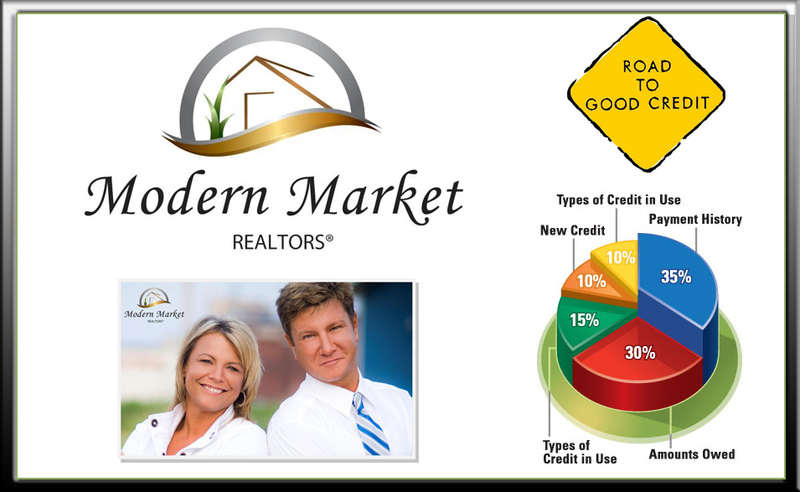 Labels: Fargo Home Buyer Alert: What is a credit score. 1. You charge group dinners on your card and keep your friends’ cash to spend. I actually don’t mind doing this myself as it saves me a trip to the ATM if I need the cash, but if you’re just being stupid and thinking it’s “free money” to go and blow anytime then yeah – you need a financial makeover. 2. You spend more than 40% of your total income on rent. The last time I calculated this we were spending 37% of our total (net) income on mortgages. And I’ll admit it’s not very savvy. But I’ll also point out that we got ourselves into this BEFORE Mr. J. Money came about ;) So I agree with this one here – ya gotta keep your rent/mortgages way below that 40% line. 4. You pay off one credit card with another. Yes, BAD!! 5. Less than 10% of your income goes to your retirement savings. (Or worse, zero percent!) I wouldn’t say you need a total makeover if you were saving 10% really, even though everyone would love to see you saving 15% or even 25%, but definitely saving 0% is a troubling sign. 6. You have a credit card that doesn’t give you anything in return, like cash back or airline miles. Haha…well this isn’t the worst thing in the world, but it is a good idea to check and makes sure you’re getting *something* in return for doing nothing ;) You don’t have to do anything different than you’re doing now! 8. You pay the minimum balance on your credit card each month.Not the best habit to get into, that’s for sure. If at all possible you should be adding in at least $25-$50 more every month to help knock it away as fast as you can. I once paid $2,000 for a $1,200 computer back in the day because I kept just telling myself “I’ll do it tomorrow.” Make tomorrow, today! 9. You don’t open your credit card statement because you can’t bear to see how high the balance is. Oh yeah, definitely not a good sign. You HAVE TO KNOW what you’re dealing with so that you can fix it and get right back on track! And this goes for savings and investments too. If you don’t KNOW what’s going on you’ll just keep sinking and sinking until it takes something tragic to snap you out of it. 11. You know your company has a 401k plan, but you have no idea what that is. My favorite tool ever! Just call up HR real quick (right now, actually, stop reading this!!) and ask how much your company matches. Then, tell your sweet old HR lady (or man) that you’d like to contribute that exact same # and make sure to fill out whatever forms you need to do ASAP. Even if you never look at it again, that one move you just made will hook you up years and years to come. So do it! 14. You buy so much on eBay that they’ve awarded you VIP status. Wha wha wha…. 15. You want to start a savings account, but then sale season starts again! Is it me or are these going down hill? 16. You don’t have an emergency fund to pay bills should you lose your job. Back in action! 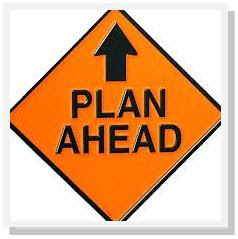 YES, emergency funds are KEY to any financial game plan. Whether it’s $100, or $1,000, be sure to be stashing some aside for when you least expect it! 18. You overdraw on your checking account more than once a year. Hmmm… once is kinda strict. I’d say not more than 3 times a year cuz sometimes weird things just happen. Although if you were really on top of it you’d sign up for overdraft protection (the kinds that don’t cost you any money!) so that you’d be safe just in case you got a little crazy here and there. 19. You live paycheck to paycheck. This should be the #1 sign you need a makeover, hands down. Living paycheck to paycheck is a recipe for disaster, and I know 80% of you reading this right now are in this boat :( I was too!!! For 25 years of my life! If you haven’t been serious about making a change, please start today. There are plenty of ways you can get yourself in better position, you just have to get on it and really commit. Start tracking your money and finding where all your spending leaks are! Picking up a hustle on the side will help too. If you approach the home buying process intelligently and with confidence, you are much more likely to emerge with a house you'll be proud to call home. Approaching the task of buying your next home can be overwhelming. There's so much to consider. How much house can I afford, and how can I find the best loan? Where will I come up with a down payment, and how much will I need? Should I buy a new or resale home, and which will go up in value? Should I use an agent or look at homes on my own? And these questions are just the beginning. Buying a home is one of the largest financial transactions in your lifetime, yet we don't teach about it in school. You're just supposed to pick it up along the way. 1. You can and should understand everything that is happening in the home buying process. There is nothing, and I mean nothing, that is so complex that it can't be easily explained to anyone with average intelligence, and you've got more than that. Just because we don't apply for a thirty year mortgage once a week doesn't mean we have to take the first one that comes along. You'll need to learn some new terms, apply some new concepts and take the time to understand what you're getting into. If anything happens at any point in the process that doesn't make sense to you, simply demand a full and complete explanation. If it still doesn't make sense, seek help from someone you trust like your CPA, your banker or maybe your friendly online real estate columnist. 2. 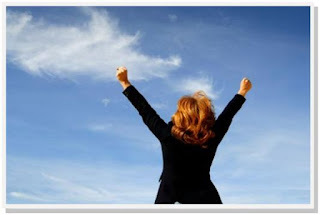 In the world of real estate sales, YOU are the most important person in the entire process. It's easy to think that everyone else carries more weight than you. The agent talks fast and has an answer for everything. The lender may decline your loan application, and on and on. But the truth is that you, the buyer, are the one person in this transaction that makes it all happen. If you decide to not buy, the entire process comes to a grinding halt. So flex your consumer muscle and take command of this process. Surround yourself with a team of professionals that you have confidence in and make them work for you. If you plan from the beginning to approach the home buying process intelligently and with confidence, you are much more likely to emerge at the end of the day with a house you'll be proud to call home, and the knowledge that you made the right decision. Home-price appreciation is accelerating in much of the U.S., offering the latest confirmation that the housing market is turning after the most severe property downturn since the Great Depression. Prices rose by 8.1% in January from a year earlier, the largest such gain in 6½ years, according to figures from the S&P/Case-Shiller index of home prices in 20 major metropolitan cities released Tuesday. All 20 cities posted annual increases. Granted, few young people spend much time day-dreaming about buying their first home. They're naturally preoccupied with academics, athletics, parties, dating and future career possibilities. Nonetheless, there are a number of good reasons to start learning early in life about the costs of buying a home and the responsibilities of homeownership. For example, a college student's misuse or abuse of credit cards can preclude his or her buying a home later on. 1. Establish good credit habits and a favorable credit history. Get a credit card and use it responsibly. Apply for an automobile loan and make your payments on time every month. If you're renting an apartment, put your own name on the lease and the utility bills and make sure the rent and the bills are paid every month. If you're already struggling with credit card debt or have large student loans, take a free workshop from the non-profit Consumer Credit Counseling Service. Call (800) 388-2227 for information. 2. Start saving for a down payment and closing costs. It's possible to purchase a first home in many parts of the country without much in the way of savings. But in high-cost housing areas, starting to save early can be enormously beneficial because you'll get the advantage of compounding interest and have a longer period of time to grow your investments. Open a savings account or a stock brokerage investment account and make regular deposits. 3. Read some books. Your local library and bookstore probably have at least a few shelves of books about financial management and buying a home. Take notes. Make a financial plan for yourself. 4. Research where you'd like to live. Many young people assume they'll continue living in their own home town when they get older, but people are more mobile than ever and chances are good you'll one day live in another city or even another state. Again, the library, bookstore and Web can be excellent resources for information about housing costs and homeownership opportunities around the country. 5. Tap your real estate agent relatives for advice. Parents, grandparents, aunts, uncles or older cousins in the real estate business can give you good information about the cost of housing in the area where you want to live and what it takes to buy a home. Questions to ask: Is housing affordable in this area? How much money would I need to save in order to buy a home? What advice would you give me about planning my financial future? Would you recommend some books that I might like to read about buying a home? Don't be shy. If you have a question, ask someone in a position to know the answer. How Much Money Do I Have to Save to Buy A Home? The first thing to understand about buying a house is that you don't have to have all the cash saved up in order to make your purchase. 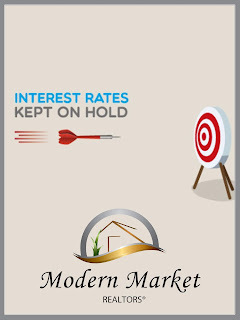 The good news is that there are lots of folks out there who are very interested in lending you as much as 95% of the purchase price of your home, at very favorable interest rates. Furthermore, they are willing to spread out the payments over a long period of time so that you can afford the house you want. If you have a steady job and a reasonable credit history, there is a good chance that you can find a home lender who will lend you most of the purchase price of your new house. Home loans are also called "mortgages," which comes from a Latin phrase meaning "pledge unto death." While lenders don't take your promise to pay quite that seriously, they DO expect to get repaid on time. Just to make sure you remember, lenders take an ownership interest in your house until the loan is paid in full. Home loans typically are offered in amounts of 80%, 90% and 95% of the price you are paying for the house. You are expected to pay the remaining amount in cash from your own savings. As you might imagine, the lower percentage loans are somewhat easier to qualify for. The reason the lender is willing to lend you up to 95% of the value of your house is that history has shown real estate to be such an excellent investment. Lenders expect that your home will be worth more in the future than it is today - so their investment in your home is considered very safe. Finally, home loans are available to be repaid over terms of usually 15 or 30 years. The shorter term loan offers a slightly lowered interest rate, so if you can afford the higher monthly payments, you'll save in interest costs by choosing the 15 year loan. At today's interest rates, a 15 year loan costs about 27% more than a 30 year loan in terms of your monthly payment. But the amazing thing is that lenders are even willing to offer a fixed rate loan for that time period. It's better financing than you can get on just about any other investment. 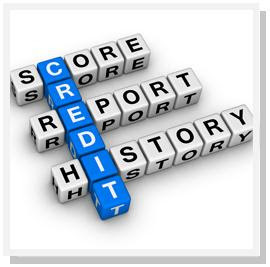 Understand Your Credit - Find out about your credit and correct any errors now! Thinking about buying a house? Then think about your credit history...the folks who lend money do! How well you have handled your credit obligations in the past is of utmost importance to lenders today. The good news is that this information, for the most part, is available to you. Your credit history is maintained by three different private companies called credit reporting agencies: Equifax, TransUnion and Experian. Their websites and phone numbers are listed at the end of this article. Everyone can pull their own credit once a year for free at annualcreditreport.com. If you’ve already done that or need to pull it again. You can order your report by phone and charge it to your major credit card if you like. It usually takes about a week to arrive. You can even order your report online directly from each of the three agencies, but they have to verify your identity before you can obtain any private information. By the way, avoid services that offer to obtain all your reports for you in exchange for a fee. You want the information directly from the reporting agency, blemishes and all. It's a good idea to get a copy of all three reports, because if an error exists on even one of the reports, it may negatively affect your chances of getting the loan you want. Your credit report lists all the consumer credit that has been extended to you over the past seven years. It will show what your highest balance has been and what your current balance was on the date last reported by the creditor. It will also show how many payments you made on time and how many late payments were late. Late payments are grouped into categories showing how late you were. For example, if your credit card payment was over 30 days late one time, it might not be considered too serious. But if payments were over 60 days late four times, over 120 days late two times and over 180 days late one time, you have had a serious problem. That problem is going to impact your ability to borrow money. It just makes sense to find out about your credit and correct any errors now. Regardless of how many credit problems you have had in the past, there are two good points to remember. First, negative credit information can be reported in your credit file for only seven years. After that, it drops out and cannot even be considered. The one exception is bankruptcy, which can be reported for 10 years. But after that you start with essentially a clean slate. Second, lenders are much more concerned about how you have handled your credit recently than with what happened several years ago. Even if you have had a bankruptcy, if you have kept your nose clean and paid your bills on time since then, it is possible you could qualify for a loan after as little as two or three years. One of the best developments in the world of lending has been risk-based pricing. That's a five dollar term for the ability of lenders to offer higher priced loans to borrowers based on their demonstrated ability to repay. In other words, even if you have slightly fractured credit, you can still likely get a loan. It just may cost you a little more. Equifax (www.equifax.com) can be reached at 800-997-2493. TransUnion (www.transunion.com) can be reached at 800-888-4213. Experian (www.experian.com) can be reached at 888-397-3742. Most lenders don't want you to take out a loan that will overload your ability to repay everybody you owe. First, determine your gross monthly income. This will include any regular and recurring income that you can document. Unfortunately, if you can't document the income or it doesn't show up on your tax return, then you can't use it to qualify for a loan. However, you can use unearned sources of income such as alimony or lottery payoffs. And if you own income-producing assets such as real estate or stocks, the income from those can be estimated and used in this calculation. If you have questions about your specific situation, any good loan officer can review the rules. Next, calculate your monthly debt load. This includes all monthly debt obligations like credit cards, installment loans, car loans, personal debts or any other ongoing monthly obligation like alimony or child support. If it is revolving debt like a credit card, use the minimum monthly payment for this calculation. 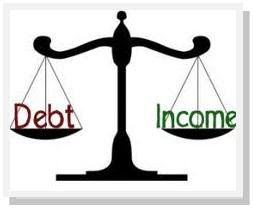 If it is installment debt, use the current monthly payment to calculate your debt load. And you don't have to consider a debt at all if it is scheduled to be paid off in less than six months. Add all this up and it is a figure we'll call your monthly debt service. In a nutshell, most lenders don't want you to take out a loan that will overload your ability to repay everybody you owe. Although every lender has slightly different formulas, here is a rough idea of how they look at the numbers. Typically, your monthly housing expense, including monthly payments for taxes and insurance, should not exceed about 28% of your gross monthly income. If you don't know what your tax and insurance expense will be, you can estimate that about 15% of your payment will go toward this expense. The remainder can be used for principal and interest repayment. Depending on your individual situation, there may be more or less flexibility in the 28% and 36% guidelines. For example, if you are able to buy the home while borrowing less than 80% of the home's value by making a large cash down payment, the qualifying ratios become less critical. Likewise, if Bill Gates or a rich uncle is willing to cosign on the loan with you, lenders will be much less focused on the guidelines discussed here. Remember that there are hundreds of loan programs available in today's lending market and every one of them has different guidelines. So don't be discouraged if your dream home seems out of reach. In addition, there are a number of factors within your control which affect your monthly payment. For example, you might choose to apply for an adjustable rate loan which has a lower initial payment than a fixed rate program. Likewise, a larger down payment has the effect of lowering your projected monthly payment. Just plan on contacting and investigating a number of lenders to find a loan program that meets your needs. How do I qualify for the new construction rebate? Be located within Moorhead City limits and classified as 1a,1b,2a,4b or 4bb (1-3 unit residential). The classification of your property can be found on your property tax statement or by contacting the City Assessor. The property must be new construction with no part of the structure commenced prior to January 1, 2012. Construction of the property must commence prior to December 31, 2014. Construction is deemed to have commenced if a city building permit has been issued and the mandatory footing or foundation inspection has been completed. For property classified as 1a,1b,2a,4b or 4bb (1-3 unit residential) the rebate is the entire market value of the land and new improvements. The rebate includes the two payable tax years that correspond with the two assessment years after construction commenced. How does the new construction credit work? Builders or purchasers of new homes for which construction commenced between January 1, 2012 and December 31, 2014 are eligible for a rebate of some or all general real estate taxes for the first two years following home construction. There is no minimum or maximum market value limit, and land value is included. Special levies such as school bond referendum, watershed, and economic development are not included in the rebate. Special assessments are not part of the rebate. 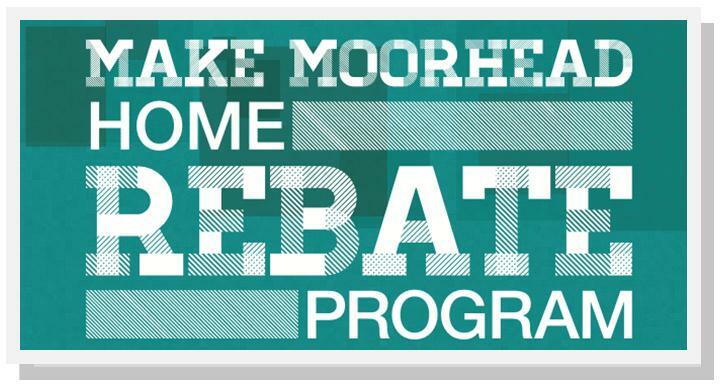 What if the residence sells during the rebate period? Once an application is submitted and approved on a residence, the parcel is eligible for two payable tax years even if the ownership transfers. If the residence is constructed on or before August 31, 2012, I understand my rebate will be smaller than homes built after September 1. Will I get the full amount the second year? No. Construction activity that began prior to September 1, 2012 is not eligible for the Clay County portion of the tax payments for either year of eligibility. 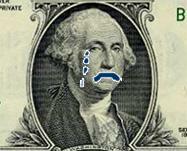 When will I get my rebate check? Tax payments are required to be paid as due on May 15th and October 15th of each year. A rebate of the eligible portion of the tax payments will be mailed by the Clay County Treasurer in December of each year of eligibility. Complete the application and return it to the City Assessor. Completed applications must be returned by January 31 of the year following the commencement of construction. Click here to download Application. The county/city assessor may share the information contained on this form with the County Auditor, County Attorney, Commissioner of Revenue or other federal, state or local authorities to verify your eligibility for the rebate. You do not have to provide this information. However, refusal may disqualify you from consideration for the rebate. Making false statements on this application is against the law. Minnesota Statutes, Section 609.41 states that giving false information in order to avoid or reduce their tax obligations can result in a fine up to $3,000 and/or up to one year in prison. • Hire a stager, inspector, photographer and other professionals as needed. • Pressure-wash sidewalks and decks. • Clear gutters and downspouts. • Remove weeds; mulch; plant flowers. • Clear cobwebs, leaves from porches, patios. • Re-grout bathtubs and faucets. • Have air conditioning and furnace checked. 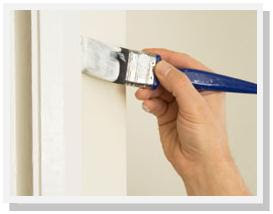 • Paint trim, baseboards and nicks if needed. • Clear counters, tables, bookshelves. • Organize closets and storage areas. 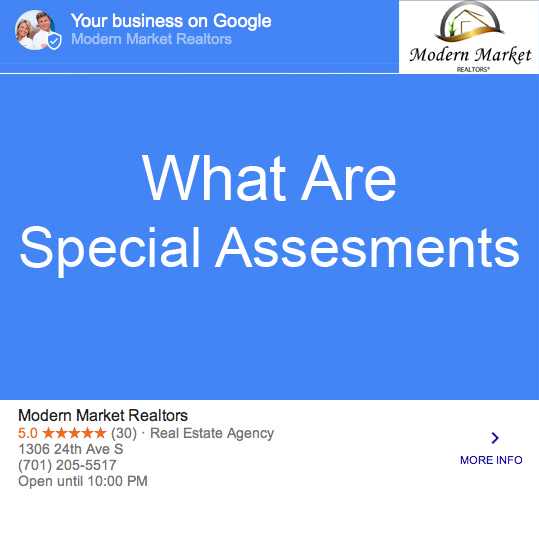 • Ask a friend to give an honest assessment of your home. Most real estate home buyers are obsessed with finding the next great deal. So much so that they stay up into the wee hours of the night scouring the internet for properties, As real estate agents know, our livelihoods depend on the accuracy of the data we analyze and for that reason I’m begging you to PLEASE stop searching for real estate on nationwide portals like Trulia, Zillow and Homes.com - amongst many others! For the past 12 months brokerage after brokerage has decided to withdrawal their listings from the nationwide real estate search portals citing, among other things, horribly inaccurate information and in some cases outright scams. 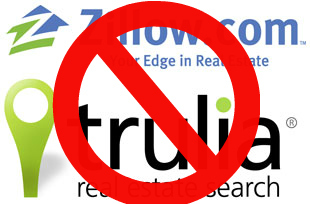 Very Inaccurate Real Estate Search Results National portals like Trulia and Zilliow are slow to show new listings. When a property is listed for sale it hits the local MLS in a matter of minutes, usually about 15, but can take as long as 9 days to populate to nationally syndicated sites according to studies on the subject. To real estate investors ready to pounce 9 days might as well be 3 months. By the time the home owner sees the listing, sees the property and submits an offer sufficient time will have passed that there could be one or more competitive bids or quite possibly the property could have sold already. A seasoned real estate agent knows how important timing is and getting all of your real estate listings even 24 hours later than your competitors will cause you to miss out on great deals. Bad Data The real estate company Redfin was hired recently to assess the accuracy of sites like Trulia and Zillow and their study found that approximately 36% of the listings shown as active on Zillow and Trulia were no longer for sale in the local MLS, compared with almost 0% on local brokerage websites. The study further found that brokerage sourced listings using their local MLS feed displayed 100% of the MLS homes listed for sale on their websites but Trulia only displayed 81% and Zillow 79%. So let me summarize – over 1/3rd of the listings you are seeing are NOT ACTUALLY FOR SALE and you only get to see 4/5th of the listings that are actually for sale. LOL. I could go on but really there’s no need. Obviously anyone searching for properties in a city would like to have access to all of the listings that are for sale and none of the ones that aren’t. What’s My House Worth? (Don’t Ask Zillow) I considered writing an entire post of the accuracy…or inaccuracy, of real estate portal pricing tools like the famed Zillow Zestimate. For those who aren’t familiar with Zillow the website offers an opinion of a listed house value called a Zestimate and it is prominently displayed on each property’s listing page. Sounds great right? Unfortunately the Zestimate values aren’t even close to the actual values that the properties sell for. If you’re wondering how I can be so sure it’s because, to Zillow’s credit, they actually publicize the accuracy of their Zestimates city by city. To measure the accuracy of the Zestimate Zillow compares the actual home sale prices of homes with their Zestimate and they’ve found that the Zesimtate is within 5% of the actual sale price around 33% of the time and within 10% of the sale price around 50% of the time. What To Do? For real estate home buyers in need of accurate and timely data national search portals like Trulia and Zillow are not as reliable as other options available. Instead of searching for properties on these websites real estate investors should focus on smaller, local brokerage based websites, establish relationships with local real estate agents or get a real estate license and pay to join the local MLS where they invest. These steps will assure that you are getting the most accurate and up to date information and will give you a competitive advantage over those who are searching for real estate with websites like Trulia and Zillow. Find out the value of your home from a local real estate professional, using local market data and accurate listing information. Find out your homes value here. What do you think? Do you use Trulia or Zillow? First Time Home Sellers - Tips!! Attention first-time home sellers: This is not your father's housing market. 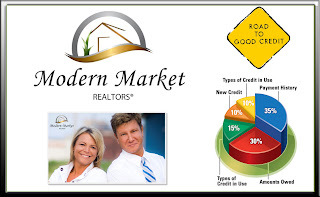 Today's buyer-take-all market is a benefit for buyers with great credit and deep pockets. But sellers are stunned with new realities that include paying (rather than making) money at the closing table, providing extras to sweeten the deal, and spending more time and cash making the home camera-ready. For first-time sellers who have never been through the process before, it's a different world. One where the value of the house isn't measured in the profit made on the sale, but by the enjoyment the owners had from living in the home. ~Here are some important things experienced sellers would tell you, if they could. Your largest number of showings will occur in the first two to three weeks. The (multiple listing service) systems and the Internet tend to drive the majority of showings. Many buyers are plugged in electronically. So the minute something new pops up that meets their criteria, they want to see it. Take advantage of that sweet spot by pricing the house competitively right out of the gate. How you style the price is important. For example, a home first marketed at $155,000, then lowering it to $150,000 meant the listing appeared within the computer search parameters that buyers commonly used in that price range. Want to sit with a house that won't move? Be the first-time seller who insists you can get the appraised value, the tax assessor's estimate or whatever you paid a few years ago. It seems like there's no relationship between your assessed value, taxable value and the actual market value of your house. There doesn't seem to be any correlation. The truth is that your house is worth what buyers are willing to pay. No more. This is a true market that is totally based on supply and demand. 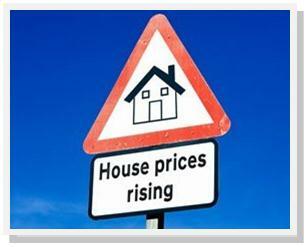 That means many buyers should be prepared to lose some money or hang onto the home until the price rises. To make your home stand out it may be smart to throw in some incentives, for instance, include the newer washer and dryer knowing that they will be challenging to move anyway and this will "sweeten the deal" for onlooking buyers. Beware the agent who promises big profits, Combs says. That person may just be after your business. Don't go with anyone who doesn't use comps. And study sales prices, not asking prices, for real estate. One question to ask yourself and pose as you interview agents: How will you reach the home's target market? You have to consider who your most likely buyers are for what you're selling and cater to that group of people. Targeting 20-somethings who live on their smartphones? You need to effectively access the networks your buyers are tapping to find their next home. One big trend: QR (or "quick response") bar codes that allow smartphone users to access property information electronically. The typical starter home can also appeal to downsizing empty nesters. To serve their needs, you might also want to have a phone number that instantly reaches someone who can provide details and answer questions. And don't neglect the modern version of curb appeal: using lots of photos on real estate listings' websites. However you market your house, you need a good number of clear, well-lit, professional-quality pictures that show your house at its best. Keeping your house clean is important in every sale. But first-timers are likely selling smaller houses, and clutter can mean the difference between cozy and cramped. 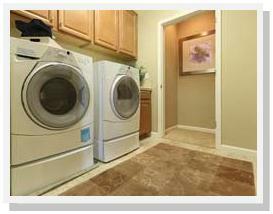 Kitchen and bathroom countertops are another hot spot that many sellers forget to clear. The same chaos that represents your normal routine makes your house seem messy, disorganized and uninviting to buyers. However, you don't want to remove all traces of human existence. Decluttering is good. But I'm not a big fan of taking all of your personal stuff out. Don't neutralize it so that it's sterile. Most buyers are lazy. The last thing a new homeowner wants is another 'to-do' list, Ramsey says. So get the home move-in ready before it hits the market so the buyer can start fresh easily. That means making all the repairs and replacements that you would demand if you were buying the house today. If you have to walk single file up the walkway, trim the bushes. If the garage door is dented, have that fixed or replaced. If you go into a room and say, 'Hmm, I wonder if this carpet is dirty enough to replace?' You have your answer. First-time sellers are likely selling smaller, starter homes which are popular with first-time buyers and empty-nesters. Neither group is likely to want to spend weekends tackling the jobs that you avoided. From a presentation standpoint, you want them to feel it's turnkey -- ready to go. Because your competition is doing that. In this market, it's not just a price war but a beauty contest at the same time. If you're looking to spend some money to make your house memorable, ask someone who knows what will improve the market value. You might want to paint a stylish blue kitchen tan -- to match the walls of the adjacent open living room and attract more buyers. The cheapest thing you can do for a house with the biggest bang for the buck is to paint and replace carpet. 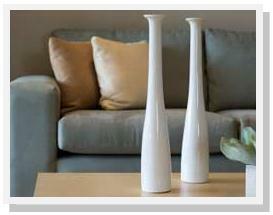 Recommendation: soft neutrals, which are easy on the eyes and have mass appeal. Fresh carpet and that new-paint smell are also buyer-bait. Buyers don’t generally get emotionally attached to a carpet-allowance sign. What they fall in love with is the new carpet in the house. If you're a first time home seller and would like some direction to get the ball rolling, contact us anytime, we'd be glad to tour your home, give you some tips on getting your home ready to sell and fill you in on the entire selling process including sharing with you all the "extra" services we offer. We're here to make sure all your questions get answered and that you don't have to go-it alone. Just call, email or fill out the contact form on the right side of the page and we'll make sure you're selling experience is as stress-free and profitable as possible. We're experienced full time realtors that work together to ensure you receive only the top notch service that you deserve. Remember: Not all realtors are alike. 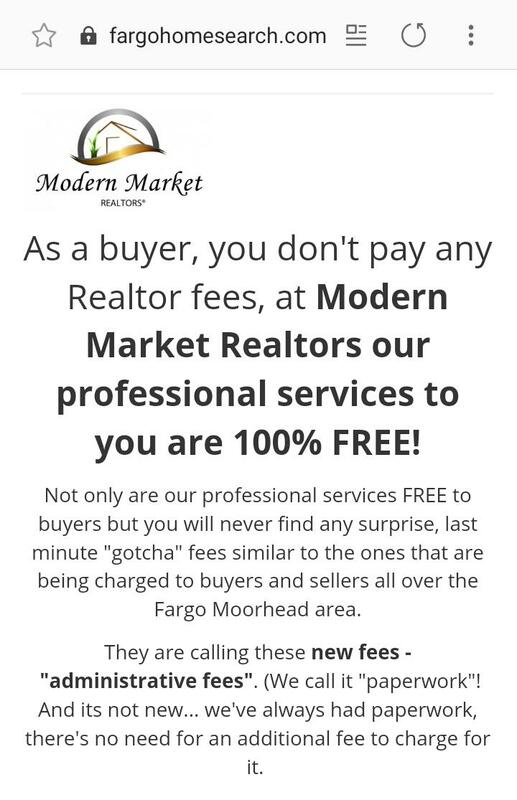 You may pay a similar fee to a lot of different realtors, but we at least give you a lot more for your money than a majority of agents would even consider providing for you. Call us today, even if you're just getting started, we're here to help even in the getting ready stage. There are no costs to you until your home is listed, sells and closes! 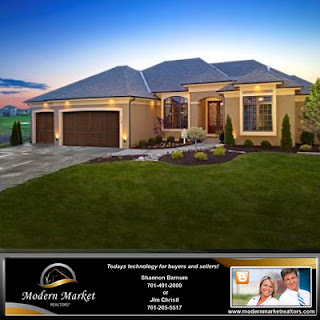 The 2013 Spring Parade of Homes hosted by Home Builders Association of F-M will be April 27-May 5. The Home Builders Association of Fargo-Moorhead hosts two Parade events each year, one in the spring and one in the fall. The spring Parade, held over nine days, will include homes in a wide range of prices built by HBA of F-M builders, each with his or her own distinct style. Bright yellow and blue directional signs and pennants will mark homes participating in the parade. Hours are 6:30 - 8:30 p.m. weekdays and noon - 5 p.m. weekends. This is our Fm Realtors real estate agents blog page. 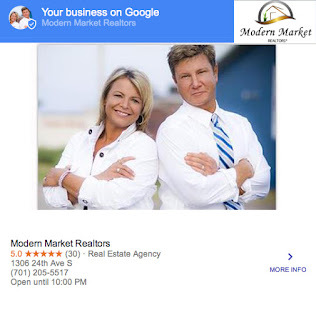 We have listed the full address of Modern Market Realtors, phone numbers and websites .FargoHomeSearch.com is in Fargo, North Dakota, Modern Market Realtors can sell your real estate or help you buy new real estate such as buying or selling your home or house. They also will help you buying and selling any type of property in Cass County ND. This real estate agency is in Fargo ND. We specialize in “marketing” homes, not just “listing” homes. We do home video tours, we have a text service for drive by buyers also used in advertisements so that people can simply text a code to receive pictures and information on your home… instantly! We help you stage your home. We hold public open houses around your schedule, marketing them aggressively. We use exceptional listing descriptions to give your home the exposure it deserves. 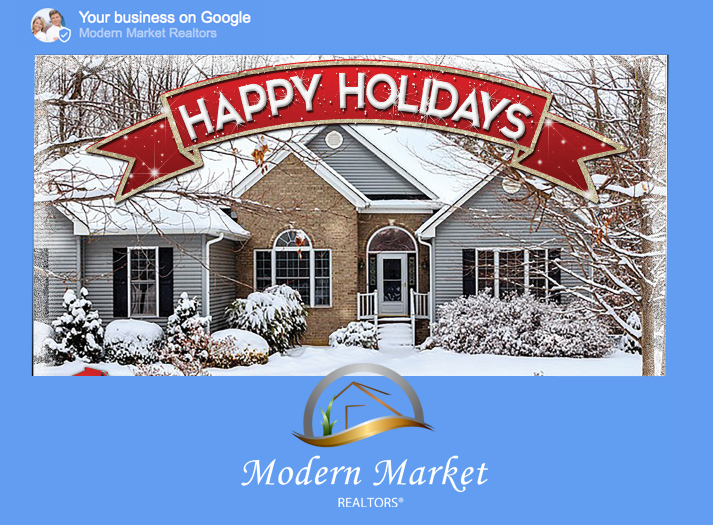 Plus we utilize today’s technology to make sure that your home is in front of the entire online community via websites, search engines, social media, virtually everything that is being used by buyers to search for homes. We have done the research to see where the buyers are, ultimately, your home is found each and every time a buyer is searching! We use all of these tools to keep only very serious buyers scheduling showings inside your home. There is no need for you to be inconvenienced more than necessary, we want to sell your home, not let everyone just wander through. This is one way we make the process less stressful on you as a seller. Everything we do, is to make sure your lives can go on as normal as possible throughout the home selling process. Let us take care of the details while you handle day to day life as uninterrupted as possible. Hometown: I was born and raised in Wahpeton, ND. I moved to the Fargo area in 1993 to continue my education at NDSU. I have enjoyed the people and the community, and have loved making Fargo my home. Your first job was: The Dairy Queen in Wahpeton. Favorite type of music: I enjoy listening to most types of music, but if I have to choose a favorite I will say country music. Your favorite about selling real estate: The opportunity to work with homebuyers through the home buying process from start to finish. From beginning their search and viewing homes, to handing over the keys to their new home at the closing. Their excitement and enthusiasm are surely contagious. Did you or do you have a real estate mentor? Yes! Ron Rheault and my Broker, Randy Schwartz. All of their advice and guidance have been truly amazing, and I am so thankful for all of their help. I feel so lucky everyday to work with such a wonderful group of agents at Town & Country Realty. I ignite my real estate sales by: Most importantly, being honest in all my dealings. Favorite restaurant: This is an easy one…Mexican Village! When I cook at home I like to… I only have a kitchen because it came with my house!! But my husband is great on the grill! One thing every homebuyer should keep in mind when searching for a home: Keep an open mind, and allow yourself to become educated on the home buying process. Your favorite charity is and why: The American Cancer Society. Unfortunately, I believe we have all been affected by cancer in one way or another with a friend or loved one. I support this charity with high hopes of someday finding a cure. Professional training: I have a BA/BS Degree from UND and a Master’s Degree from NDSU. I also have 3 advanced degrees in real estate. Did you or do you have a real estate mentor? One thing every homebuyer should keep in mind when searching for a home: No two properties are exactly alike. Because one property sold for $200,000 last month across the street doesn’t mean that a like property is worth the same price 2 months later. Buyers and Sellers have different motivations for their decision making and that will affect a properties performance in the market place. Your favorite charity is and why: Our family supports several charities, but my current personal favorite is the Cass County Area Retired Teachers’ Scholarship Fund. Each year we solicit support form 100 active members within this organization and other outside interested parties. Awards: Fargo Public Schools’ Golden Apple, ND Retired Teachers’ Silver Apple, U.S. Small Business Administration Certificate of Appreciation, Park Company’s Top Producer, GMAC Corporation’s National Debut Producer, Rainbird Corporation’s National Small Company of the Year. I would like to thank students, parents of students, tenants, customers, clients, co-workers, members of organizations with whom I am affiliated, and our friends for your help to jump-start my career in real estate. Mary and I and our extended family feel very blessed by knowing you. Your first job was: Farming with my Dad. Favorite type of music: The 70’s. Professional training: NDSU crammed 4 years into 5. Your favorite about selling real estate at the lakes: I like people and the lakes area and enjoy the process of finding just the right property which can be so different for so many. Did you or do you have a real estate mentor? Monica Kaiser. I ignite my real estate sales by: Answering questions factually and if I don’t have the answer say so. Favorite restaurant: The Cornfield at Dunvilla. When I cook at home I like to… Grill outdoors. One thing every homebuyer should keep in mind when searching for a home: Make sure it is affordable. Your favorite charity is and why: I do not have a favorite. We have 2 girls and have been so fortunate to enjoy the lake since they were very little. Your first job was: Scooping Ice Cream at Walgreen’s at Southdale. Favorite type of music: I like it all – Blues, Jazz, Rock, Folk, Gospel, Country, and even the occasional “Hair” Band. Professional training: GRI, Bachelor of Fine Arts Degree in Graphic Design from MSUM, 25 Years of Graphic Design, Sales and Marketing Experience. 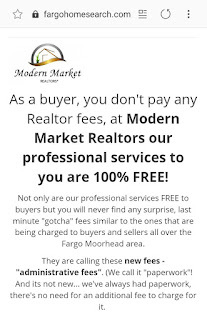 Your favorite about selling real estate in fargo moorhead? : On the Buyer Side I like searching for the right house – it’s kind of like solving a puzzle and its fun watching people’s faces when they walk in the home that’s exactly right for them. On the Listing Side I really enjoy helping Sellers Stage their homes and get everything “Show Ready”. I enjoy helping Sellers transition from their house as a “home” to their house as a “product” to be marketed. I also enjoy taking pictures and developing brochures and marketing materials. Did you or do you have a real estate mentor? Francine Gilmore. I ignite my real estate sales by: Looking at my bills. Favorite restaurant: Moorhead Dairy Queen. When I cook at home I like to… See what I can make out of anything I can find since I hate to grocery shop…Pop tarts are good. One thing every homebuyer should keep in mind when searching for a home: Have fun and enjoy the process. Your favorite charity in fargo is? and why: I have several and wouldn’t want to pick a favorite. I got into Real Estate because I thought it would be fun to look at and show houses all day. I’ve stayed in Real Estate because, although I found out you don’t spend your time looking at and showing houses all day, it is a valuable, challenging, fulfilling, interesting, creative and rewarding profession. Most of all, it is never, never dull. Favorite type of music: All types, depends on the day. 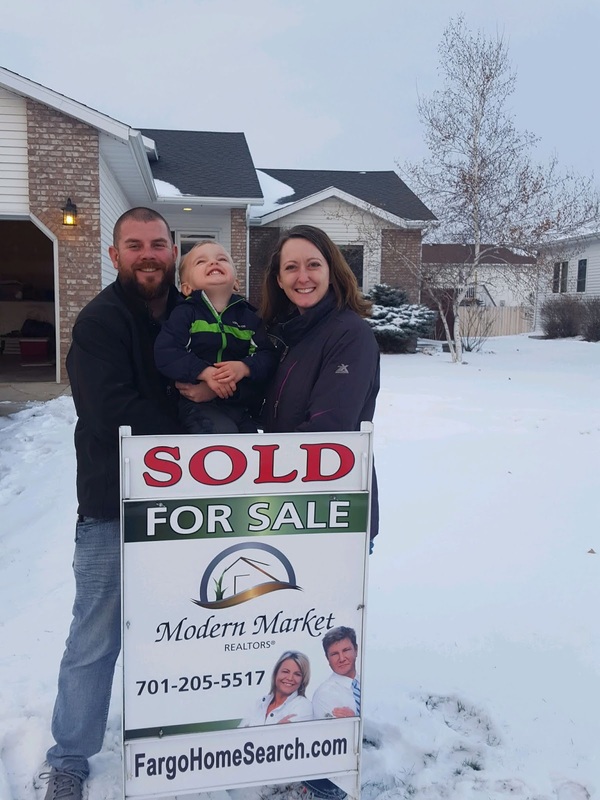 Your favorite about selling real estate in fargo moorhead? : Everything! What a great Profession! Meeting new people, helping family, friends (new & old) & people I meet for the first time with one of the most important decisions in their life, buying/selling a home. Did you or do you have a real estate mentor? Personal Real Estate mentor(s): My family. I was raised in a real estate family. For as long as I can remember and still to this day my family buys, sells and invests in real estate. Professional: Dan Pergande. Even if he doesn’t know it, he has shown me there are many things to “think” about but not to “worry” about. Live everyday to the fullest. I ignite my real estate sales by: Treating people the way I would want to be treated. There is no better marketing than a referral from a happy client. Favorite restaurant in Fargo Morhead? : Too many to mention. When I cook at home I like to… Grill, always grill. One thing every homebuyer should keep in mind when searching for a home: Find a Buyer’s Agent that you can trust and let that person help you through the entire process from home search to offer to closing. Your favorite charity in fargo moorhead is and why: Habitat for Humanity…..because I believe everyone should own their own home. After all it is the American Dream. Quick tip for Buyers & Sellers: Buyers: Find a Buyer’s Agent that you can trust, and you know will work in your best interest. Very Important! 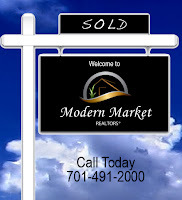 Sellers: Find a Listing Agent that knows the market! This market is changing daily and you need a Listing Agent that changes with it. This is not the time to randomly hire the cheapest one or even most expensive. Do your homework! Your favorite about selling real estate in fargo moorhead? : Meeting new people and assisting them through good and bad times while selling or buying their home…making a difference one home at a time. Did you or do you have a real estate mentor? : Yes, several that I watched and admired over the years. I ignite my real estate sales by: Constantly staying in touch with my clients! When I cook at home I like to… : Have friends and family join us! One thing every homebuyer should keep in mind when searching for a home: Get pre-approved before you start looking and then determine what you want for payment costs. Sick to your budget so you don’t overextend yourself and become house poor. Finding a good real estate agent / broker is essential to enjoying a painless real estate transaction. The saying is "20% of the agents do 80% of the business," and it is true. The question is how can you find a good real estate agent? The best agent for you doesn't necessarily work at the largest brokerage, close the most transactions or make the most money. The best agent for you is an experienced professional who will listen to you, conduct herself in an ethical manner and knows your market. All Realtors® are licensed to sell real estate as an agent or a broker but not all real estate agents are Realtors®. Only Realtors can display the Realtor® Realtors belong to the National Association of Realtors and pledge to follow the Code of Ethics, a comprehensive list containing 17 articles and underlying standards of practice, which establish levels of conduct that are higher than ordinary business practices or those required by law. Less than half of all licensees are Realtors®. Most real estate agents stay in business because satisfied clients refer them to friends, family, neighbors and coworkers. Ask the people around you who they have used and ask them to describe their experiences with this real estate agent. Successful agents make customer satisfaction their number one priority and put their customers' needs before their own. Try to find an agent who goes above and beyond her responsibilities. She'll be the agent whose praises your friends sing loudest. There are plenty of Web sites that will refer agents to you but that is no assurance of quality. The agents they refer are those who have paid the Web site owners a fee to be listed in their directory. A better bet is to Google the top real estate companies in your area, go to those Web sites and look up profiles of individual agents at offices near you. Agents who are experienced will tell you but newer agents might have more time to spend with you. Look for customer testimonials. By going to open houses, you can meet real estate agents in a non-threatening working environment and interact with them. Collect business cards and make notes on them. If you're thinking about selling your home, pay attention to how the agent is showing the home. Is she polite and informative; appear knowledgeable? Does she hand out professional-looking promotional material about the home? Is she trying to sell features of the home? Or is she sitting in a corner reading a book, ignoring you? Pay attention to the listing signs in your neighborhood. Make note of the day they go up and when the sold sign appears. The agent who sells listings the fastest might be better for you than the agent with the largest number of "for sale" signs. Results speak volumes. Real estate agents run real estate ads for two purposes. The first is to sell specific real estate. The second is to promote the real estate agent. Look in your local Sunday newspaper for ads in your targeted neighborhood. Then look up the Web sites of the agents who are advertising. These agents could be specialists in your neighborhood. Call and ask them about their experience. Ask other real estate agents for referrals. Agents are happy to refer buyers and sellers to associates, especially if the service you need is not a specialty of the agent who is referring you. Some agents specialize in residential resales while others work exclusively with new home builders. Other agents sell only commercial or investment property. Mortgage brokers are also a resource for agent referrals as many brokers have first-hand knowledge of exceptional agents. Pros tend to refer pros.